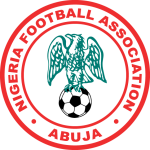 Nigeria's women's football [soccer] team, the Super Falcons, has dominated the African Women's Championship, winning nine titles since 1991. Nigeria is gearing up for the upcoming World Cup. The African giant has shown their strength in the qualifiers and will be keen on translating that into success in Russia. The Super Eagles might not boast one-star name to look for inspiration, as Egypt does with Mohamed Salah, but what Nigeria has instead is a squad of experienced players. Several of their men are either in Europe's top-five leagues or are bossing the country's domestic competition. Gernot Rohr has now chosen a squad he believes will bring pride to their nation. Winning the World Cup will not be a realistic target, but getting out of their group will be a tough hill that can be overcome. Having been grouped with Argentina, Croatia, and Iceland; Nigeria could easily shock any of those three sides to grab that second qualification spot – or first. Simeon Nwankwo is an uncapped Nigerian striker, so his inclusion will definitely attract attention. However, he has enjoyed a good season in Serie A, scoring seven goals for Crotone. John Obi Mikel took up his deserved spot on this list and should be the leader to guide this African powerhouse. The Tianjin Teda midfielder's experience will also be key for the Super Eagles. Despite being Nigeria's most-capped player in history, Vincent Enyeama was left out. There were calls for his call-up, but Rohr snubbed the veteran goalkeeper.